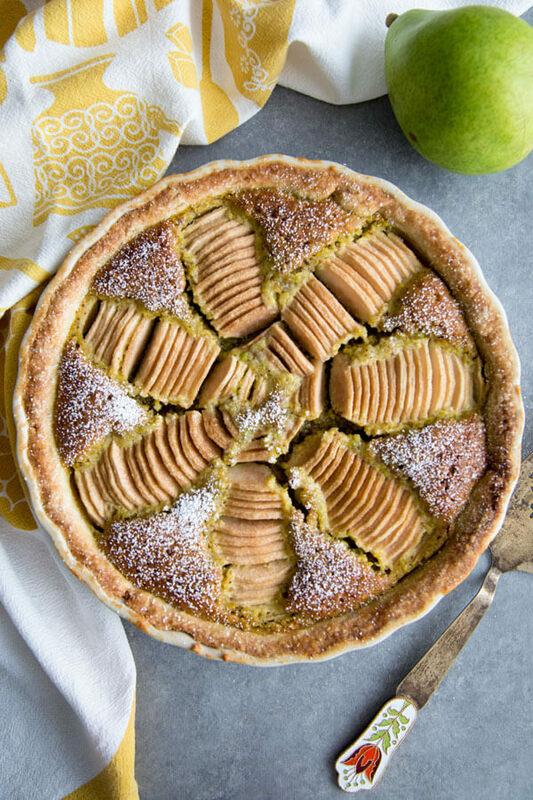 Buttery crust, creamy pistachio frangipane filling flavored with orange zest and fresh pears combined to make this Pear Pistachio Frangipane Tart one of the best Fall desserts. Serve it up with whipped cream, ice cream or as is. 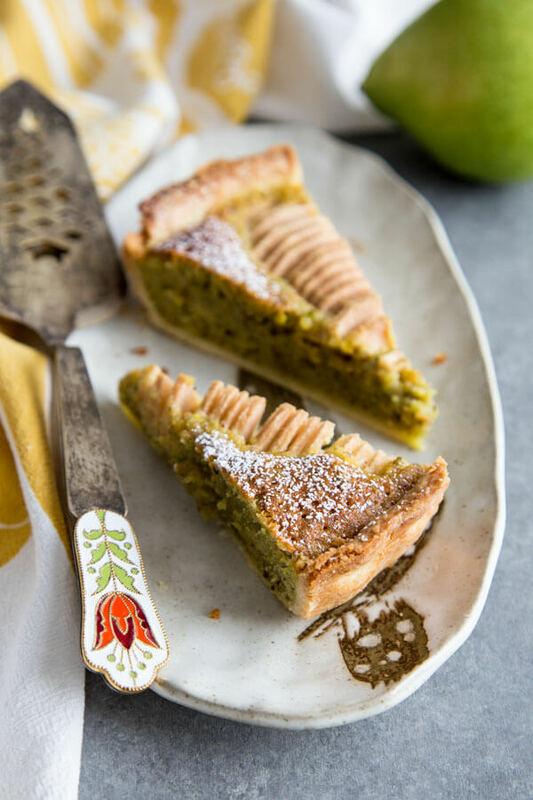 Step aside apples, it’s time for pears to shine in this Pear Pistachio Frangipane Tart. I love apple this season, but have always felt pears deserve the spotlight too. I used Anjou pears in this recipe because they keep their shape well when baked. If interested, check out this post where I made a delicious pear smoothie and talked about all the different types of pears and what they’re good for. As always, I start out with my all-butter pie crust for a fool-proof buttery sweet crust that I love. The crust doesn’t have to be par-baked since the filling is thick enough that it won’t make the crust soggy. Frangipane is typically is a mixture of butter, sugar and egg with almond meal. For this recipe I’ve replaced the almond meal with homemade pistachio meal made from grinding raw pistachio in the food processor. 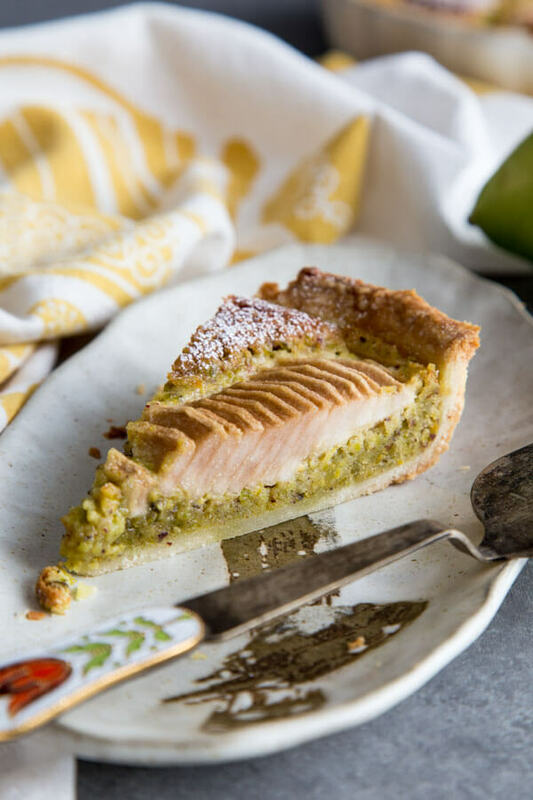 Orange zest is added to the pistachio frangipane to brighten its flavor. Peel and core the pears whichever way you’re used to. Quarter the pears and cut them into thin slices. Arrange them with the core side facing down into the frangipane as pictured. My tart pan only has enough space for 7 or the 8 quarters. If you use a slightly larger round tart pan, you may be able to fit all of the pears in. Then bake until the top if golden brown. 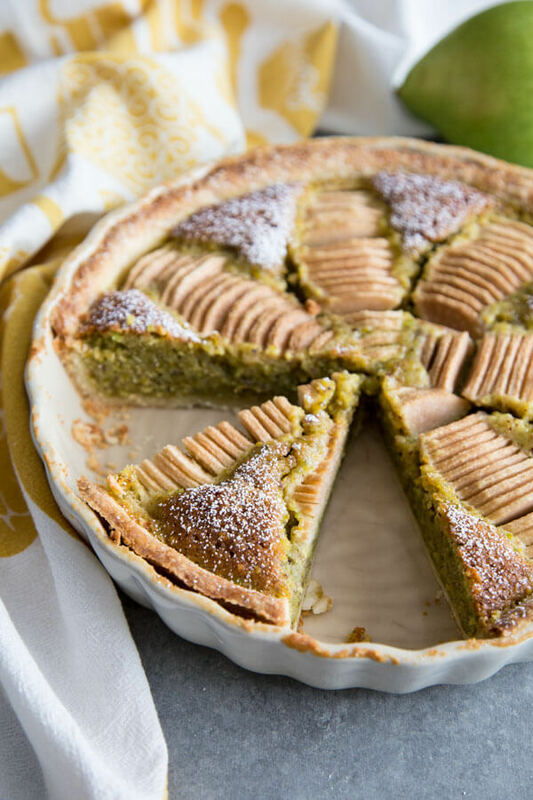 When you first take this Pear Pistachio Frangipane Tart out of the oven, it will be very puffy. But as it cools, it will deflate and create some cracks on the surface. That is entirely normal. The final product may not look as pretty as when it first comes out of the oven, but it will taste amazing no matter what. 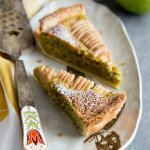 This Pear Pistachio Frangipane Tart is a wonderful dessert that’s full of unique Fall flavors. 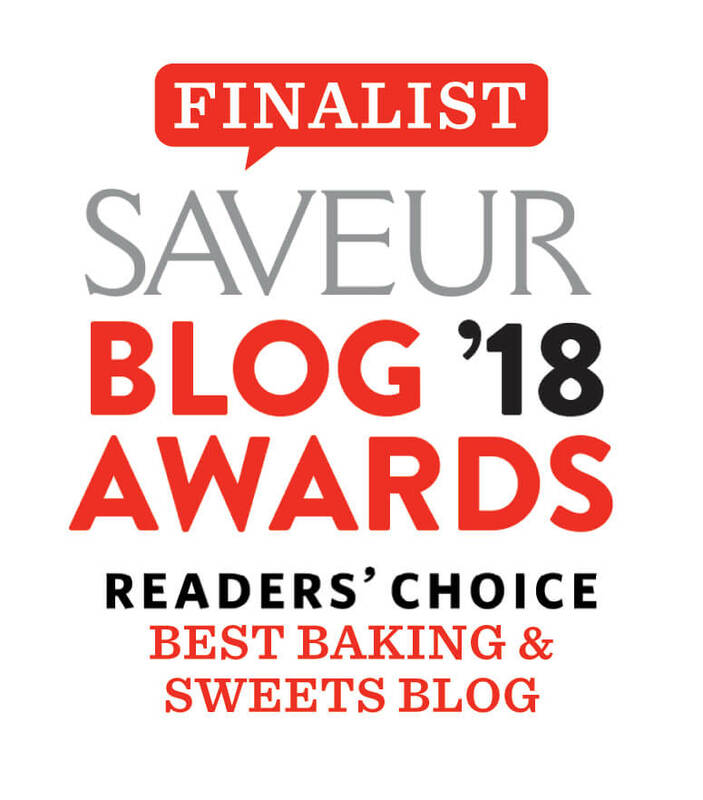 It is beautiful, tastes fantastic and deserves a spot on your dessert table this holiday season. 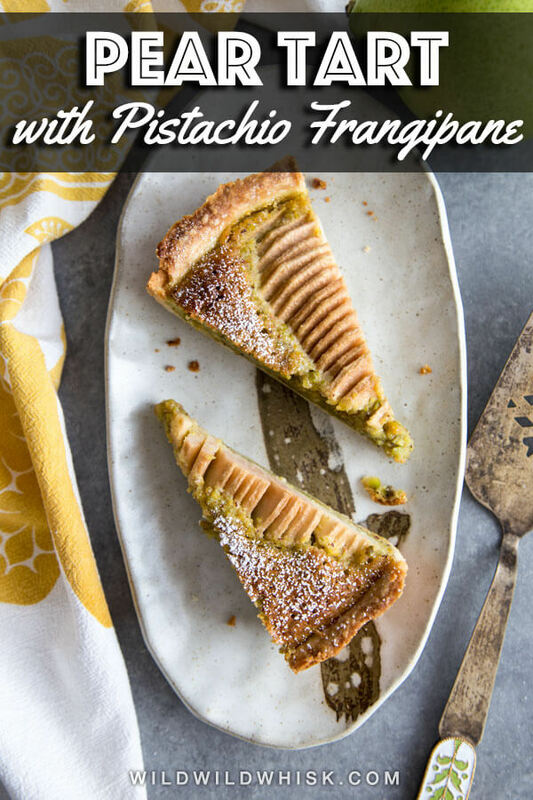 Say yes to pears and pistachio! Add flour, sugar and salt in a small bowl and mix thoroughly with a whisk. Then transfer to a food processor fitted with the dough blade. Cube the cold butter and add to the flour mixture. Pulse several times until butter is about pea and bean size, variation in size is okay, but no smaller than a pea. Turn the food processor to “on” position and drizzle cold water over the dough mixture through the water hole, as soon as the dough starts to pull together turn the food processor off. You may need to stop the food processor in between and get a spatula to get the flour at the bottom to mix up. Turn the dough out on the counter or cutting board and shape into a disk. Wrap in plastic and rest in the refrigerator for an hour. In the bowl of the same food processor, ground the pistachio until mealy, set aside. Add sugar, orange zest and soften butter to the same food processor and cream together. Add ground pistachio, flour and salt, and pulse until combined. Beat the eggs with the vanilla extract and add to the food processor. Pulse until a smooth paste forms. Refrigerate the mixture for at least an hour. 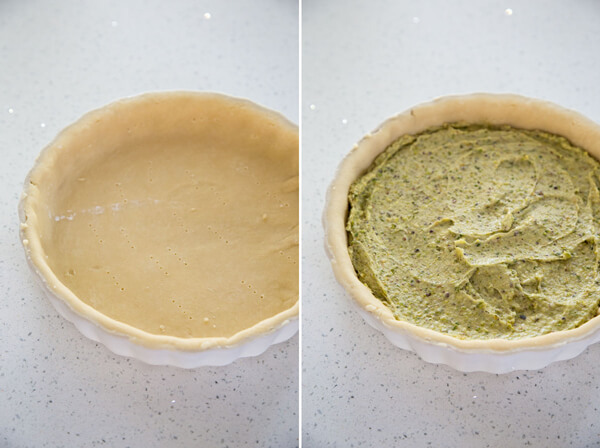 Take pie dough out of the fridge and roll into a circle about 2” larger than your tart pan. Use extra flour to keep dough from sticking to the counter and roller. Carefully place the dough over the tart pan, lightly press the dough into the bottom and side of the pan, let the excess dough hang over the side. Press the rolling pin along the edge of the tart pan to take off excess dough, place in the freezer for 5 - 10 minutes. In the mean time, wash the pears, peel and quarter. Remove the core and cut into thin slices crosswise. Take the tart pan out of the freezer and poke the dough with a fork all over to create steam vents. 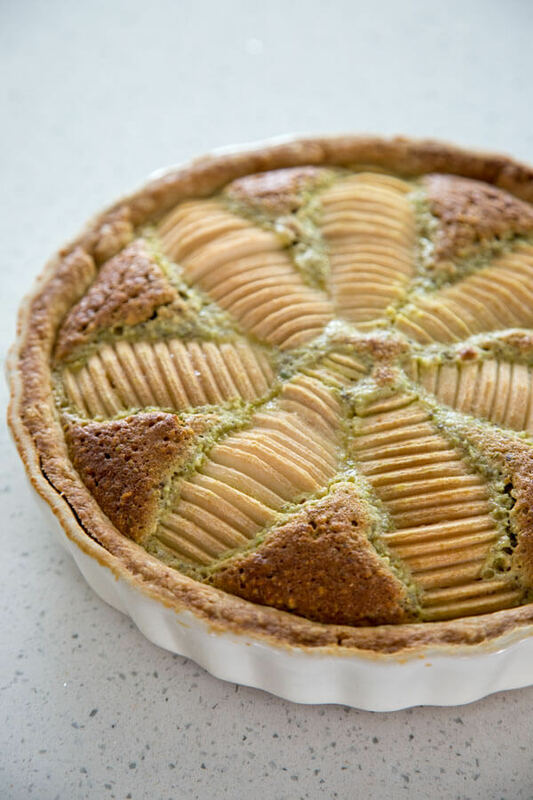 Add the pistachio frangipane filling and spread it with a spatula evenly. 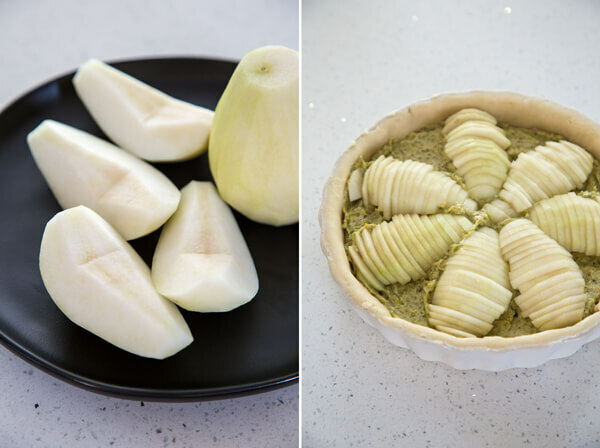 Add pears on top of the filling and push them slightly into the filling. Bake in the middle rack for 40 - 45 minutes uncovered until the top is golden brown and puffed up. Remove and let cool on a wire rack completely before cutting into the tart. Serve with a dusting of powder sugar. I made this and it was pretty amazing!! Loved the pistachio and orange – really livens up the pear. I tried another version with rhubarb and pear and while it was still really good, not quite as interesting as the pistachio. Highly recommend!! Thank you so much for the feedback, I’m super happy that you enjoyed it! This is gorgeous! You’ve a very talented baker!